Certified Pre-Owned Nissan vs. Used Car: Which is Right for you? Can’t Decide Between a Nissan SUV or Truck? We Can Help! Our Hyannis, Cape Cod, and Falmouth drivers are always looking for a vehicle that is capable and can fit their busy lifestyles. The dilemma here is trying to decide between a Nissan SUV or a Nissan truck. If you haven’t weighed the options, allow our Balise consultants to discuss the advantages of each body style…. 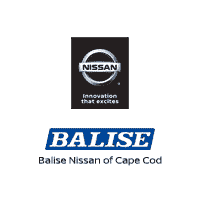 Why Buy a Used Car from Balise Nissan of Cape Cod? Summer is Finally Here! Service Your Nissan Car, Truck, or SUV Today!